I took my new car in for what I thought would be a simple task, small scrape on the back of my bumper, customer service with the counter staff was fine, but bodywork was not good, the job was completed in one day, which is fine if it is done correctly, once I looked over the bumper I noticed a rough edge on the corner of the bumper, clearly the body shop staff are there to finish the job quickly and sacrifice quality, but I dont see how that could be missed if you are double checking your work. I called Kirmac to inform them of this issue, and they start off by saying "I dont believe that was an area that we were working on", which obviously they were as the whole bumper needed to be repainted, at this point I was angry with their response, I informed them my car is essentially brand new 2015 model, clearly I am going to know if something isnt done right on a brand new vehicle, it wasnt until I said I will deal with my insurance company directly to rectify this situation that their attitude changed, probably didnt want to lose the accredited rating from ICBC, they offered to repaint the bumper which I accepted as the car is new, point of the matter is if you are fixing a new car or one in real good condition, look elsewhere I wouldnt go back there, I am being generous with the 2 star rating, Craftsman Collision or Rich City Collision Repairs are better options. 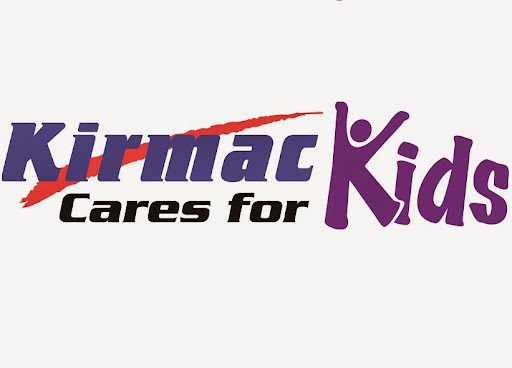 Jackson and Kirmac Richmond South – Setting the Standard for Service Excellence Jackson Lee, manager at Kirmac in Richmond South has earned a major endorsement for providing a level of conscientiousness and service professionalism that is rare to find these days – in any industry. Twice, in less than 2 months, we had the misfortune of suffering 2 accidents with our 2015 Mazda 3. In the first case, the car was repairable and the repair work and service was beyond reproach. Not only was the vehicle returned to its original condition, but every inch of the car – inside and out – was fully detailed and literally looked as it did the day we purchased it brand new from the dealership! In the second case, the car was a write off but once again Jackson provided us with a seamless experience, working with ICBC on our behalf to ensure every aspect of our insurance policy was fully adhered to. Jackson’s commitment to service excellence is in his very DNA – he absolutely will not allow you to leave Kirmac anything less than 100% satisfied! We have a Lexus RX that was in need of some repairs due to a series of unfortunate events. Ive been in the auto industry for over 8 years and learned that just because a repair center is recommended by your dealership doesnt mean they are the best. After reading some reviews I decided to go with Kirmac in Richmond over other "certified" Lexus repair shops after hearing horror stories. The whole process was handled so professionally and promptly by Anthony and Matthew. Their team work was amazing because the other always knew what was going on regardless and I never got the feeling like they dropped the ball. They got me a courtesy vehicle asap and completed everything in the blink of an eye. Got the vehicle back in great condition! Being a little particular I went over the vehicle and noticed one tiny mark of over spray of which when mentioned, was taken care of in minutes. Again, fantastic experience and couldnt be happier! Do not go to this repair shop. Ive had a terrible experience with the staff as well as the manager. My car was not fixed properly and I had to return 4 times to try to get it fixed. All of the staff that I dealt with (save the receptionist, he was great) was disrespectful and condescending. They were not knowledgeable at all. They tried to claim that an obvious flaw in spacing came from factory. On top of everything they have actually CAUSED damage to my car that was not there before. Do yourself a favour and go somewhere else. My car ended up being fixed at the North Richmond shop. The people at the South Richmond shop were very nice and told me that Id be kept up to date on the status of my vehicle. I wasnt and it ended up being 2 days late. There was some confusion about whether it was ready and the manager let me keep my loaner car and pick it up after the weekend. The work was done well. My car was detailed inside but things werent put back where they belonged. Service - the best, plus they did wonders with the car making it look better than brand new. To top it off, a full detailing was done before I picked up the vehicle. We stayed in contact the whole way though the repair process. Theyve found a true customer for life, that hopes I dont have to use them all that often, but happy to know theyre there for me. I needed an installation to be done in my car, and I dropped in Kirmac’s shop. Anthony received me right away, explained me the options I had, and how it could be done. The job was done immediately and in less than 10 minutes I had my problem solved. Excellent job and highly recommended. Excellent customer service, friendly and prompt. They repaired my car perfectly and even washed and cleaned it from the inside. My car was ready when they said it would be and I am more than happy with their service and quality. Thanks guys! Very impressed with the customer service here. Jackson Lee was very helpful. Everything was explained up front. Even got my car washed. Will be recommending to my family and friends. Thanks! Great service and very friendly and competent staff. My vehicle was returned to me in great shape!